Super Mario Bros. 2 (AKA スーパーマリオ in Japan) is a 2D side-scrolling platform video game developed by Nintendo for the NES console and launched in year 1988. 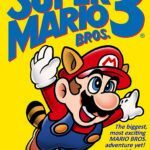 It is the sequel to Super Mario Bros and was followed by Super Mario Bros. 3, the best Mario game launched on the NES! The US version of the Super Mario Bros. 2 is a far cry from the one released in Japan. The Goombas are nowhere to be seen, and neither are the Hammer Brothers that made playing the first episode a lot more challenging, and frustrating to some. Even King Koopa was not spared of the change as he was replaced with a giant frog. Gamers will miss the Mushroom Kingdom, too. So what happened? If you have had a look at the Super Mario Bros. 2 released for the Family Computer (NES smaller sibling), you’ve seen the return of the most formidable antagonists in the Super Mario world. The Goombas, Hammer Brothers, and Even King Koopa has learned a lot from Mario and Luigi’s skills and have evolved their fighting styles to make it harder for the Italian plumbers to save Princess Peach. Maybe even a bit too hard for American gamers. Troubled by the fact that this might turn away American customers from the Mario game series or even the Nintendo brand itself, the company might have decided to release a more player-friendly incarnation. Ready to play Super Mario Bros. 2 online? But don’t get this game wrong. What it lacks on the challenge side it more than made up with gameplay. Gone are the days when players got bored by having only two players to choose from – Mario or Luigi. The tandem is now joined by Toad and Princess Peach herself. Players can now choose any of the four characters to play the game and each one has its own set of abilities and special moves giving the Super Mario Bros. 2 a high score in re-playability, if that’s even a word. Defeat Shyguys, Tweeters, Ninji, Beezos through bizarre multi-level worlds! 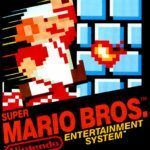 The Super Mario Bros. saga, being Nintendo’s flagship game for its consoles, has kept to its promise of providing endless gaming fun by being a solid side-scroller, and the NES version of the Super Mario Bros. 2 is not an exemption. Play now and enjoy one of the best NES games ever! 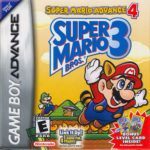 Super Mario Bros. 2 has been ported to NES (this version), Super NES (Super Mario All-Stars), Game Boy Advance, and Virtual Console.